I am excited to be joining Jim Knight at the Teaching Learning Coaching Conference 2018, October 9-11, in Las Vegas. Jim has created an opportunity for instructional coaches to interact with a great list of coaching leaders. 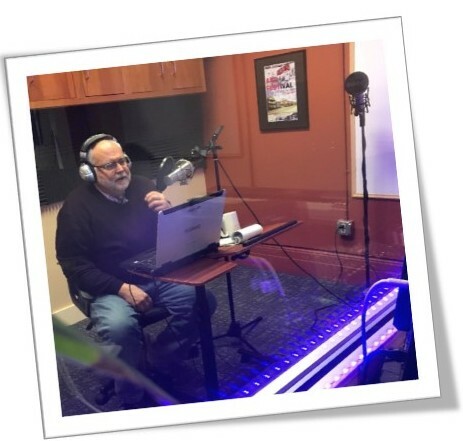 Jim posted a blog titled, Steve Barkley Interview and I posted a podcast of a conversation he and I had. Here are some excerpts from our conversation which may encourage you to explore the full blog or podcast. (Steve) An area that I have been digging deeper into lately is what I call the “culture of coaching.” I’m recognizing that if we are going to get the impact on student learning that the people in leadership positions, and I include instructional coaches here, are striving for, we have to move toward a culture of coaching where the role of instructional coaches becomes one of truly coaching. In other words, they kind of take the lead, do the demonstrations, and provide the support that moves towards all the teachers in the school engaging in peer coaching. I wonder what your thoughts on this are, Jim. (Jim) Well, I think there are different roles. There is instructional coaching, and there is peer coaching. Further, I distinguish between facilitative coaching, dialogical coaching, and directive coaching. For me, most coaching fits in the category of facilitative coaching. Facilitative coaching is where coaches set their expertise aside and use effective questioning and listening to help teachers think deeply about what they do. Teachers don’t necessarily have a deep knowledge of what the research says about effective instruction, but they have what their life experience has shown them, which is indeed a kind of deep knowledge. To me, an instructional coach is the person who has that knowledge and shares it in a way that is dialogical, always positioning the teacher as the decision maker. If you bring teachers together to coach each other, they probably need a facilitative coach. 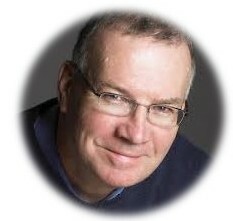 (Steve) I see the two pieces fitting together – the instructional coach who has the expertise to get us implementing and focused on teachers’ actions and behaviors and the ability of a staff within a school to coach each other, increasing the likelihood that people can implement long term what the instructional coach helped them find out. (Jim) One thing that I would add is that the coaching must be goal driven, with the teacher setting the goal. (Steve) You’re right, the two are not exclusive. Why couldn’t we do both at the same time? There is another place that links it together for me. A lot of the instructional coaches that I work with are tied heavily to the professional learning communities that are operating within their schools. That professional learning community sets a goal as something they want to make happen with student learning, and as they work on that goal using a backwards plan, they are identifying what I have started to call student production behaviors. That is, asking what would students have to do to reach their goal and then stepping back to ask, what’s the teacher’s role now in engaging students in those student production behaviors? I see the instructional coach being able to step in with some expertise to assist people and identify what those strategies, those teacher behaviors, are, and then enable people within the PLC to provide each other with peer coaching as they work to implement those strategies. (Jim) The one thing I would say about PLCs is that it’s very important that the coach’s job is not to take care of all the issues that haven’t been fully addressed through the professional development community. Sometimes I see coaches in a PLC because it doesn’t have a successful process in place, and the coaches are just kind of babysitting. Instead, what you need is someone who can help people learn a process for how a PLC can function effectively. A coach could fill that role. (Steve) I agree and am actually working with several systems to begin extracting the coach from the PLC. So that coaches are present when needed/requested. I have also been looking at how much of the coach’s day is allotted to working in a coaching relationship with a teacher. In some places it can get pretty limited. Jim and I shared the value of creating the time for this conversation and will look to continue recording future ones, capturing our thinking and insights and learning.